Santa waving to parade goers during last year’s Christmas parade in Mason. 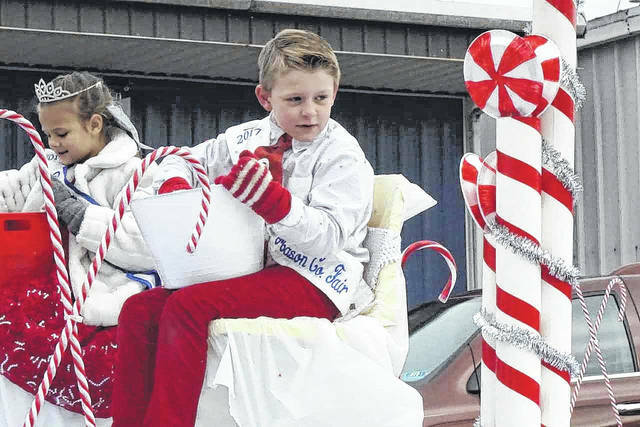 During the Mason and New Haven Christmas last year, 2017 Little Mister Mason County Braydon Sweeney and 2017 Little Miss Mason County Brooklyn Smith were among the many providing Christmas parade attendees with candy. 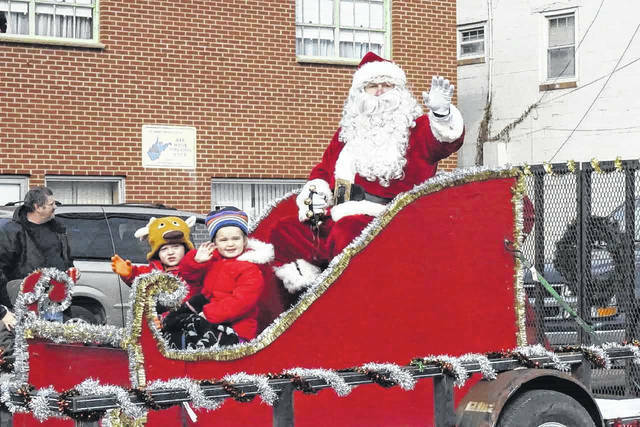 Santa flying down Main Street in his sleigh during Point Pleasant’s Christmas parade last year. The official Christmas tree for the City of Point Pleasant moments after it was lit in Gunn Park during last year’s annual tree lighting ceremony. Christmas on the Frontier provides a look back to how Christmas was celebrated in the past, pictured here is a fort worker. Pictured is a display from last year’s Krodel Park Christmas Fantasy Light Show. This year, the show will run from Nov.19 - Dec. 31. Pictured is a display from last year’s light show at the West Virginia State Farm Museum. This year, the show will from Dec. 7 - 16. 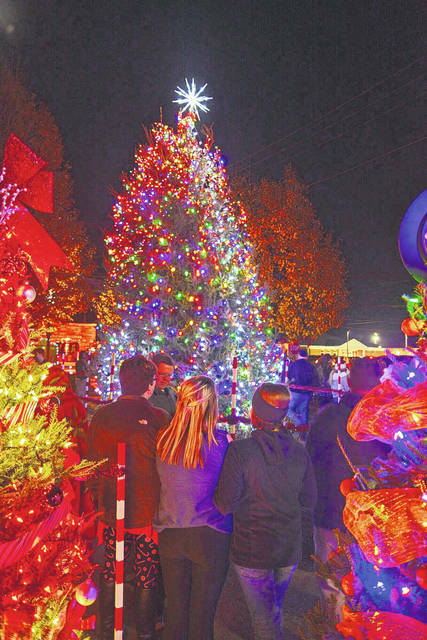 MASON COUNTY — Christmas season is right around the corner in Mason County and annual seasonal events will be returning for the holidays. The West Virginia State Farm Museum’s Christmas Light Show will be returning on Friday, Dec. 7., running until Sunday, Dec. 16. Nightly, the show will be from 6 p.m. to 9 p.m. The event is free to the public, although donations are appreciated at the entrance gate. The donations given by the guests attending the event will fund next year’s show. Guests can visit Santa and Mrs. Claus in the Country Kitchen where free hot chocolate and cookies will be served. The Country Store will also be open where souvenirs, crafts, and candy can be purchased. Deborah Young, museum employee, shared each year the museum’s employees add a unique feature to the show to entice a visitor’s return for the following holiday season. 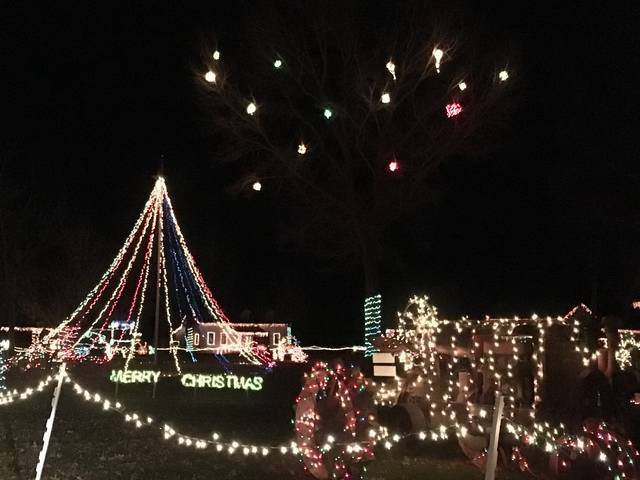 Those attending the light show will be able to see tractors, farm equipment as well as replicas of a one-room school house and a blacksmith shop festively decorated. Work on the light show begins early. Along with workers in community service, Lakin Correctional Facility allows their inmates to volunteer their time to put up the lights. The museum employees show their appreciation for the inmates’ hard work by making them a dinner and lighting up the grounds the night before the open of the show. If anyone is interested in helping put up lights or help with the light show this year, they can call the farm museum or can simply show up at the farm museum after Nov. 15, between the hours of 8 a.m.-4 p.m.,to join in and help. The museum accepts Christmas lights by donation throughout the year as well. Volunteers can work the entrance gate and can help in the Country Kitchen. Young shared the turnout for the light was “great” last year, but she would still like to see more people come out. Those who come out to see their light show share how unique it is from other light shows. No light set up is pre-made, only real objects are decorated. Some visitors refer to this light show as a “winter wonderland” experience. 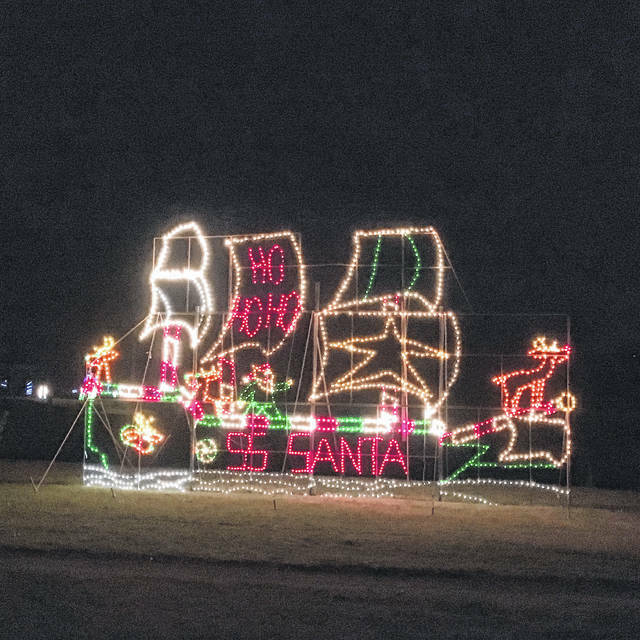 For those who enjoy the lights of Christmas time, one of Point Pleasant’s biggest holiday attractions will be making its return on Monday, Nov. 19, Krodel Park’s Christmas Fantasy Light Show. The show will run until Monday, Dec. 31. Guests are welcome to drive through the park at their desired pace to view the lights or if preferred park their vehicle and take a stroll. Visitors from all around the area, not just in Mason County, come out to experience this light show. The event is free to attend, but guests may donate what they wish to give at the entrance gate. The show is organized by Main Street Point Pleasant with assistance from the City of Point Pleasant. Also, on Saturday, Dec. 1, at Fort Randolph, Christmas on the Frontier will be held from 10 a.m. to 4 p.m. 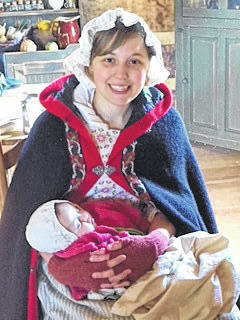 Volunteers and reenactors at the fort will show visitors what it was like to celebrate Christmas on the frontier. The major kick-off to the holiday season are the annual Christmas parades take placing throughout Mason County. 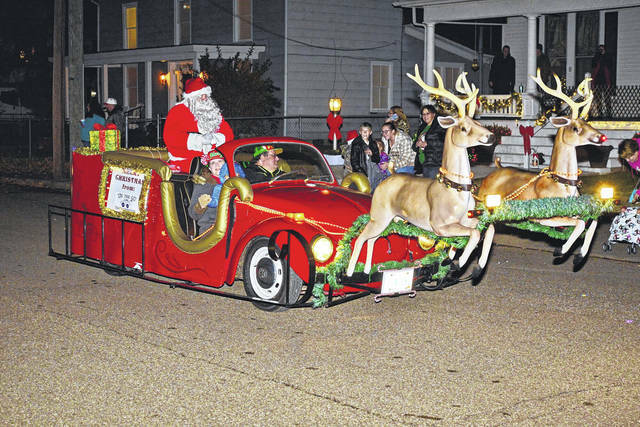 In Point Pleasant, the Christmas parade and tree lighting ceremony will take place Friday, Nov. 30. The tree lighting ceremony will be held at Gunn Park on Fourth Street, immediately following the parade. The parade begins at 6 p.m., lineup is at 5 p.m. at the former Central Elementary School. The city’s Christmas tree will be lit at the conclusion of the tree lighting ceremony, along with themed trees for the Light of Christmas tree project, also set up in Gunn Park. Also, royalty from the Mothman Festival are collecting bags of dog and cat food for the Mason County Animal Shelter from parade participants who wish to do so. Royalty will collect the food and deliver to the shelter. For the Bend Area, the Mason and New Haven Christmas parades will be held on Saturday, Dec. 1. The New Haven parade will begin at 11 a.m., line up will be at the community center, off of Layne Street, beginning at 10:30 a.m. Also, Santa will be at the New Haven Fire Station to listen to children’s Christmas wishes following the parade. At noon, the Mason parade will take place, line up will at the Faith Baptist Church parking lot beginning at 11:30 a.m. The parade will continue to town hall where Santa will be waiting for the children. Also, in Mason, beginning on Saturday, Dec. 1, anyone can place a fresh or artificial decorated Christmas tree in the park. Trees can also be placed in honor or in memory of a loved one. It is free to place the tree in the park, but those participating must provide their own tree, decorations and extension cord. Trees must be taken down by Jan. 5, or the town will dispose of them. Also, free horse and carriage rides will held at the park on Saturday, Dec. 15. Pictured is a display from last year’s Krodel Park Christmas Fantasy Light Show. This year, the show will run from Nov.19 – Dec. 31. Pictured is a display from last year’s light show at the West Virginia State Farm Museum. This year, the show will from Dec. 7 – 16.